Vintage Seafoam, Hold the Scallops! 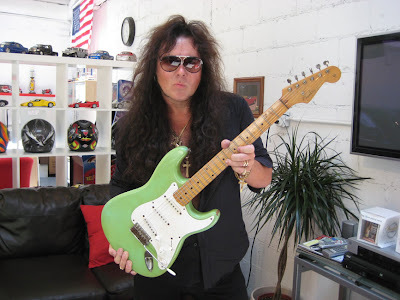 N. Carolina based Maverick Music Supply currently SOLD lists this vintage '58 Seafoam Strat, owned by Yngwie Malmsteen. A straight up listing for sure, includes a George Gruhn letter, Malmsteen signed COA and lots of photos. Pics of documents are included on the page. 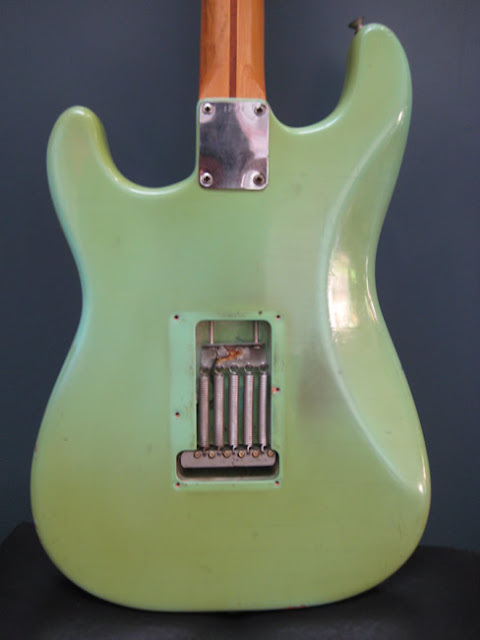 Gruhn's authentication and value appraisal is strictly on a '58 Strat in this color and condition, and does not assign added value for Malmsteen mojo factor-- and Gruhn explains why. 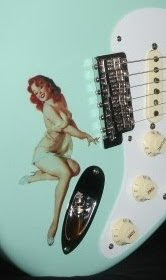 Important to note is that the fretboard has NOT BEEN SCALLOPED. 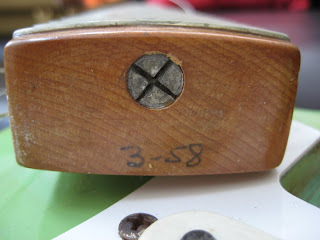 This was my first concern, but YM was kind enough to exercise restraint with the vintage instrument. Tuners have been replaced, however the original Kluson set is intact and included. So, there's really no problem here. In fact, they say the set-up was done by "Joe Walsh's guitar tech". Life's been good to this Strat so far.